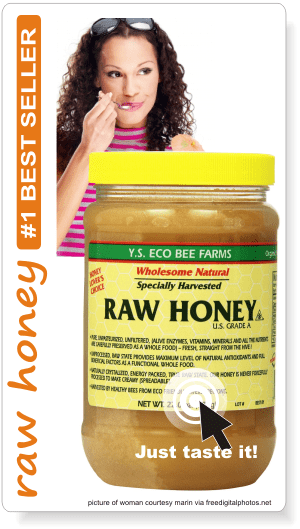 Clover honey is the most popular honey in the US, being widely used “on the table”. Depending on location and source, clover honey varies in color from water-white to extra light amber and has a mild, delicate flavor. Clover (Trifolium), or trefoil, is a genus of about 300 species of plants, in the leguminous pea family, Fabaceae. Nearly all clover plants are native to the north temperate zone. A few types are found in Australia, South Africa, and South America. In North America there are several native types of clover, but most of the cultivated varieties were introduced from Europe. · it is a small annual, biennial, or short-lived perennial herbaceous plant. · it produces an abundant crop. · it produces large amounts of nectar so it naturally attracts honeybees. · it is very nutritious for livestock. · it fixes nitrogen, reducing the need for synthetic fertilizers. The roots of clover contain colonies of bacteria that form small growths called nodules. Within the nodules, the bacteria combine atmospheric nitrogen with hydrogen to form ammonia and with oxygen to form nitrates. These substances are used by the clover plant to form proteins. This process is called “nitrogen fixation”. · the clover plant does not use all of the nitrates and ammonia, and much is left to enrich the soil. Planting a crop of clover in a field can actually make the soil richer. Frequently the plants are plowed under to enrich the soil still morea practice known as “green manuring”. Shamrock is known as a symbol of Ireland. According to legend, St. Patrick used it as a metaphor for the Christian Trinity. The name shamrock is derived from Irish seamróg, which is the diminutive version of the Irish word for clover (seamair) meaning simply “little clover” or “young clover”. 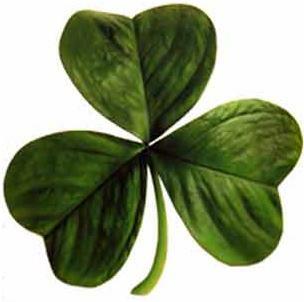 Not to be confused with the four-leaf clover, or the “lucky clover”. In Ireland the shamrock is a name given to most any kind of clover growing in Ireland, but most agree it is white clover. • White Clover: It’s a low-growing perennial clover with rounded, white flower heads. The heart-shaped leaves have a horse-shoe mark in the center. The plant, grown in pastures and lawns, is very common throughout the United States. Young plants are sold as “shamrocks” on Saint Patrick’s Day. A larger variety of white clover, called Ladino, is useful in pastures. • Alsike or Swedish Clover: Resembles white clover except that it has pink flowers. It is well-adapted to a cool, moist climate and is much used for soil enrichment. It is a perennial that grows two feet (60 cm) tall. • Red Clover: It’s the most widely grown meadow clover and is also used for hay and as green manure. The plant is perennial, reaching a height of two feet (60 cm). The leaflets may be notched at the tip and have a light-colored blotch or stripe. The flowers bloom in large, elongated rose-purple heads. A German legend says that the good Lord willed that bees, like men, should rest on Sunday from their work. But the bees, in their excessive zeal, disregarded this command being tempted to gather the abundant nectar of the red clover. As a punishment, God closed the blossoms of this flower for honey bees, making the nectar unreachable to them. Science says this is due to the flower’s long corolla tube and the short proboscis of the honey bee, which is unable to reach the nectar at the bottom. Because of this, honey yields from red clover are usually low. The bumblebee is the only known insect that can reach the deep-seated nectar cups of red clover, also pollinating the blossoms – a fact necessary for seed production. For this reason, in Australia red clover could not produce seed until bumblebees also were also brought into the country. • Crimson, or Italian Clover: It is an annual plant grown for forage and soil improvement. The plant reaches a height of nearly three feet (90 cm). The flower heads are crimson and the leaves wedge-shaped and toothed. · Zigzag, or cow clover is a short plant with zigzag stems. The flower heads are deep purple, but the leaves are not blotched like those of red clover. · Berseem, or Egyptian clover is grown in arid regions of the West and Southwest to improve the soil. It has white or yellow flower heads, and reaches a height of two feet (60 cm). Several other plants of the legume family are called clover. · Melilot, or sweet clover, is tall and bushy, with long, slender flower heads. 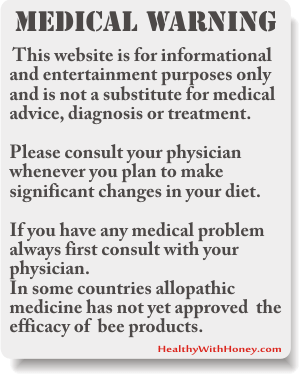 · Some kinds of alfalfa, especially the spotted medic, are called clover. · Bush clover, or lespedeza, will thrive in poor soil. 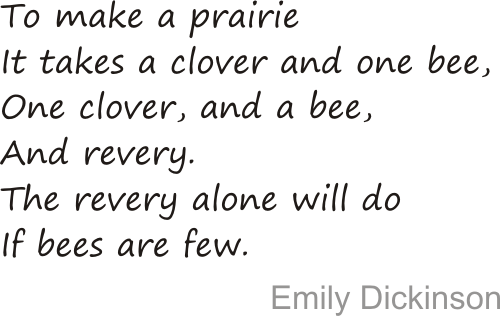 · Prairie clovers are native to the West, and are sometimes grown in rock gardens. Nevertheless, they all belong to the same leguminous pea family, Fabaceae, that include many excellent honey plants. Another honey plant not to be included in the clover family is Mexican Clover (Richardia scabra L.), also known as Florida Pusley, actually a member of the Rubiaceae family. 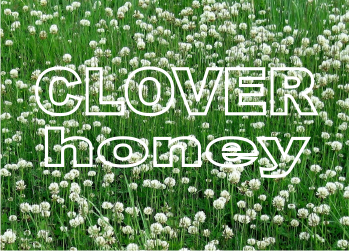 Clover honey can be produced from white clover, alsike clover, red clover and crimson clover. There are agricultural crops but also wild spots where clover grows wild. 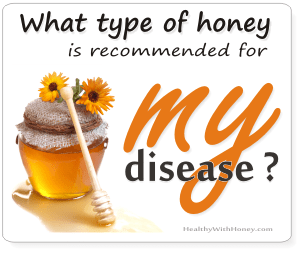 Honey can be produced from both variants. Clover honey is not entirely unifloral, as lots of other plants grow next to them easily, and honey bees gather nectar from them, too. But the majority is made from clover nectar. · It is light colored tending toward light amber depending upon where it is harvested. · Its aroma is delicate, sweet and flowery with hints of freshly cut grass or hay; suggestive of spicy cinnamon and plums. · Its taste is clean, mild and very sweet that lingers in the mouth. · It crystallizes quickly into a fine-grained solid white mass. For this reason it is often creamed. 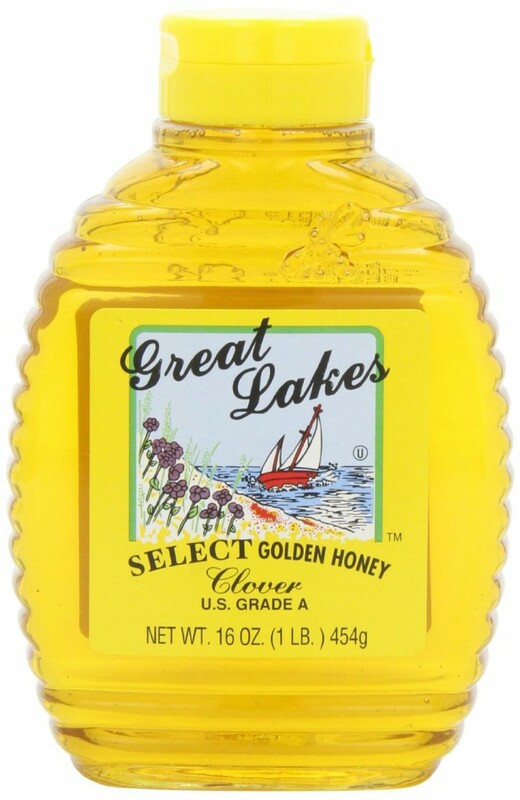 The United States, Canada, and New Zealand are some of the world’s biggest producers of clover honey. In the United States clover honey has the largest production compared to other flavored honey. In New Zealand clover honey is the most common honey type. Clover and rye grass mixtures have dominated pastures with their high forage yield and natural nitrogen fixing for soil fertility. More recently, dairying has become a significant part of the New Zealand rural scene and clover is a major component of pasture in progressive dairy farms where it minimizes the need for synthetic fertilizers with their high carbon footprint. The main clover species in New Zealand are white clover, red clover, strawberry clover (T. fragiferum), subterranean (T. subterraneum) and alsike clover (T. hybridum). 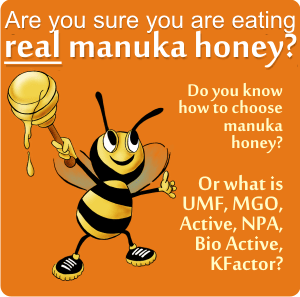 New Zealand’s white clover honey has a normal colour range of 10 – 35 mm (pfund scale). Approximately 80% of clover honey will fall into this range. There are 4 colour ranges, due to soil type and blends with other flower nectar, and normally honey from the South Island is lighter than honey from the North Island. Red clover honey is antiseptic, diuretic, depurative, antidiarrheal and expectorant. Because of these properties is used in: fluid retention, diarrhea, viral respiratory infections, flu. 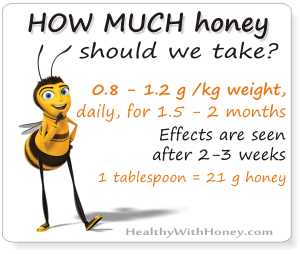 Also, red clover honey helps in fixing calcium in bones. White clover honey is used mainly as expectorant. Used to sweeten any tea, clover honey increases its therapeutic effect. Thyme honey What is mead wine?